Molten material is injected into a mold cavity via a press, where it cools and hardens. These presses can be as large as a two-story house and the molds – which come in a pair and must be bolted to the press platen – can weigh as much as a fully loaded dump truck. 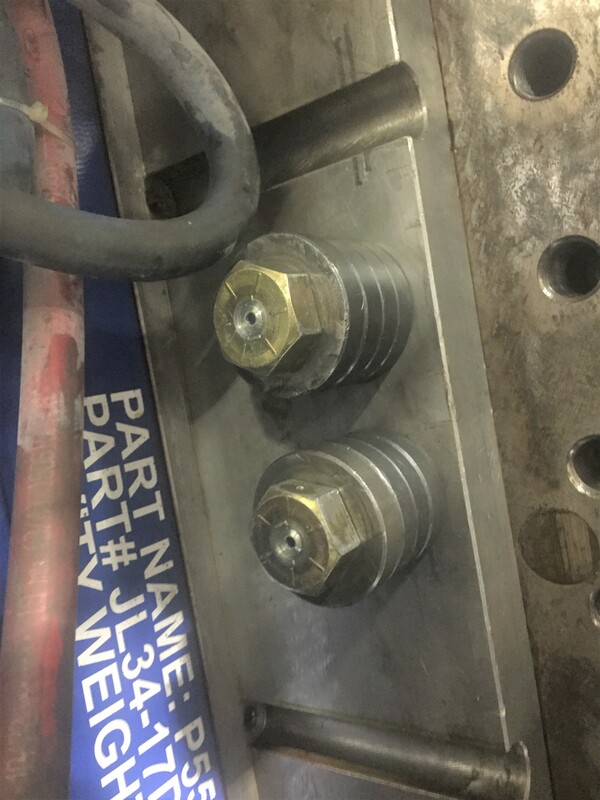 The bolts securing the molds to the press are a critical safety component of injection molding, but it can be a challenge to keep them secure. 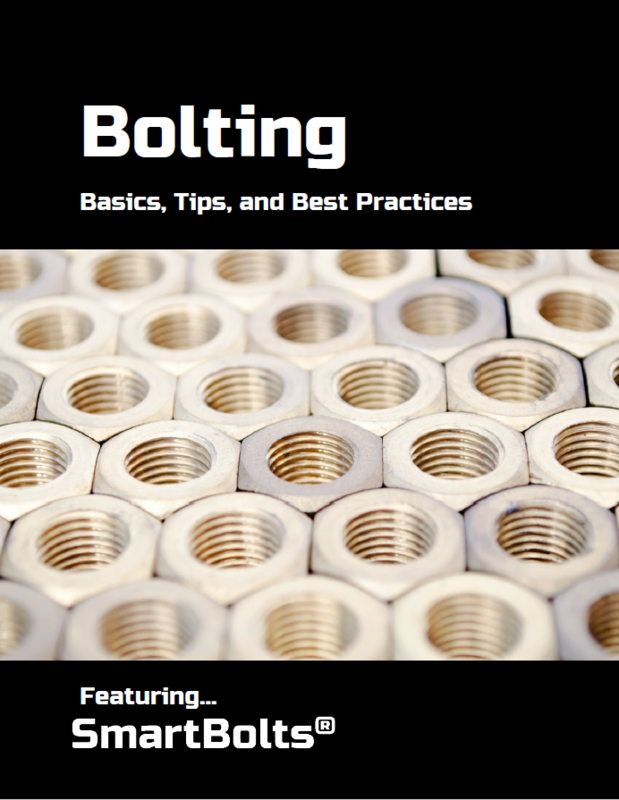 Maintaining a high rate of bolt installations with varying clamp load requirements. Identifying bolts that were installed improperly. Identifying bolts that have become loose. 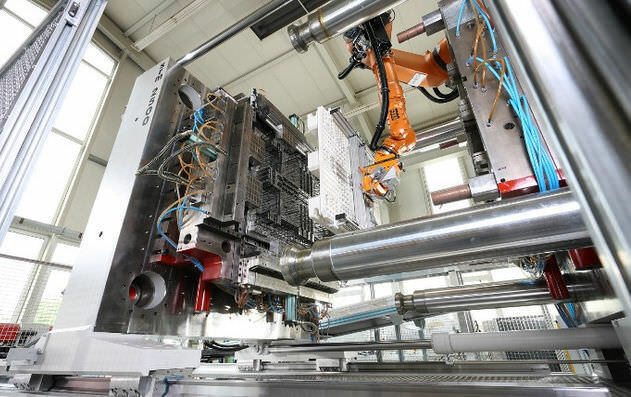 In addition to these main challenges, in our experiences we’ve discovered that there is no clear industry standard on how to properly secure injection molds. Some manufacturers developed complex spreadsheets full of notes to calculate the number of bolts that would be required to secure various molds to platens. Others struggled to control the torque applied by operators – which is made even more difficult as bolt sizes get larger and the torqueing forces required to tighten them increases exponentially. All encountered unknown and variable friction factors that altered the clamp force of bolted joints, even when operators maintained a consistent torque specification. Unfortunately, this issue is not limited to injection molding, it is present anytime torque is relied on to achieve a specific clamp force and is a result of the torque-tension relationship. These issues can lead to further bolting wastes, and in the plastics industry, they can be especially dangerous. There is a risk that a mold can detach and fall from a press, endangering operators and disrupting operations. It can become a serious problem. The molds within injection molding presses are removeable and must be manually swapped out to manufacture different parts. The molds are incredibly heavy and must be transported with a heavy-duty crane before being secured to platens containing many threaded holes – in most cases the mold is bolted directly onto the platens to ensure it doesn’t fall. 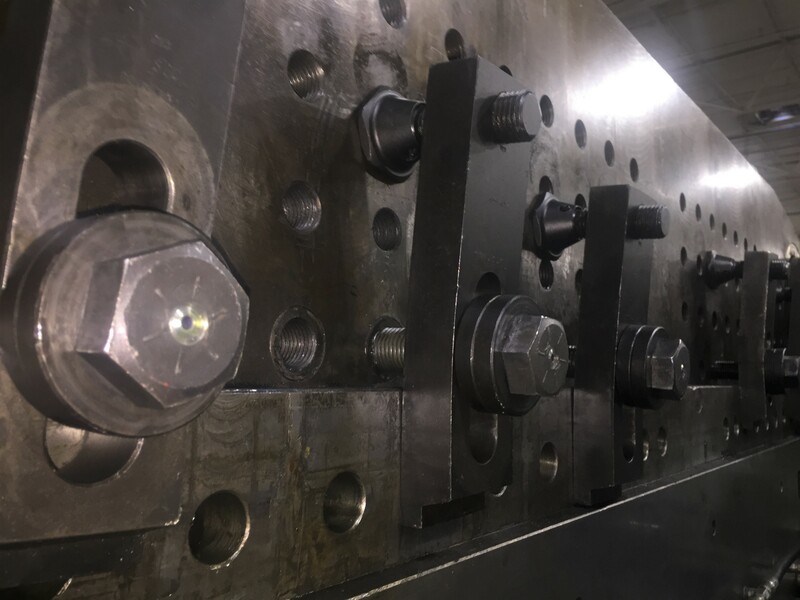 Making certain these bolts are properly tightened is the only means keeping the heavy mold from slipping or falling from the platen. These platens, and the molds that are bolted to them, are then pressed together with extreme force to create the desired part. Mold slips are warning events which occur when bolts loosen just enough to allow the mold to slip down the platen, yet it still hangs in place and does not fall. These events are dangerous indicators that a future and more serious accident is likely, and this risk can only be mitigated by improving the bolting procedures of the injection molding process. It is not uncommon for an injection molding facility to experience at least one mold slip per month. When a 20-ton hunk of steel suddenly drops a corner, one must wonder if the mold will fall free. Mold falls, on the other hand, are full-fledged disasters. In this case, the mold unexpectedly detaches from the platen and falls into the base of the machine. Since technicians must work near the platen to bolt in the molds, operate the machinery, or clean plastic debris, a mold fall at the wrong time can be fatal. At Industrial Indicators, we have developed SmartBolts® to offer enhanced security, efficiency, and reliability for your most important bolted joints. 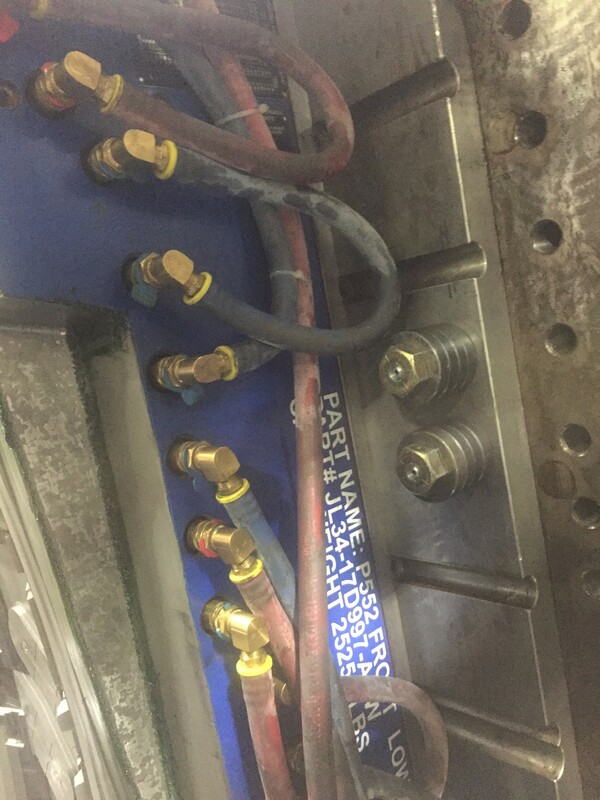 SmartBolts have built-in visual indicators that display bolt tension in real-time and are increasingly valued as upgrades to the mold bolts in injection molding machines. Our most popular product, the DTI SmartBolt, is designed to change the color of its visual indicator when loosened or tightened. When the bolt is loose, the indicator is bright red. When the bolt properly tightened, the indicator turns a deep black. 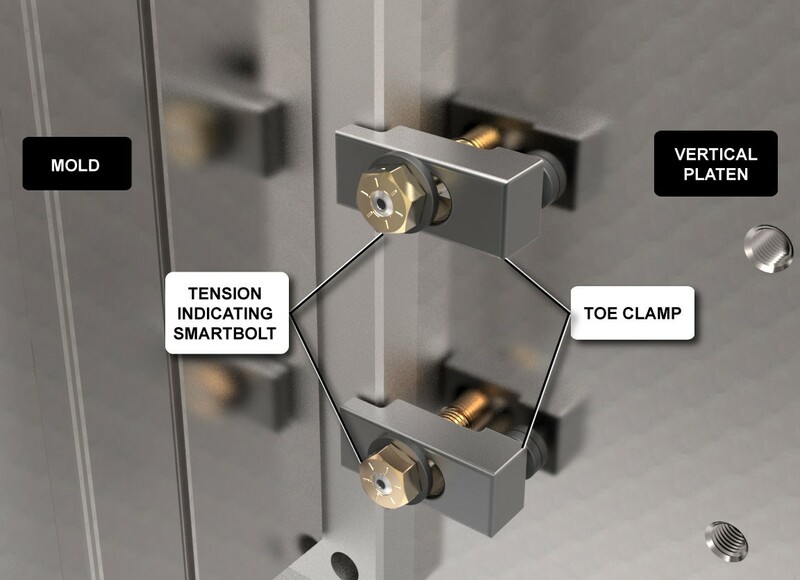 Since SmartBolts indicate tension directly, you can know at a glance that a bolt has the correct amount of clamp load to secure a mold to a platen. At one of the 16,000 facilities in the United States operating injection molding presses, a plastics manufacturer operates 27 presses 24 hours per day, 5 days per week to crank out plastic automobile parts for customers such as Ford, Acura, and General Motors. The manufacturer uses presses of the extra-large variety, ranging up to 4,000 tons of force capability. 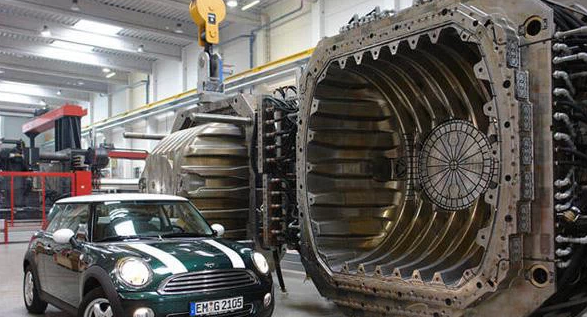 A press of this size can be as large as a two-story house and uses two molds that are each as large as a small car. In fact, over 300 molds are used at this facility which are rotated into service among various presses. The facility averages over 3,000 mold changes per year, which means roughly a dozen times per day operators are removing two mold halves from a press, replacing them with another set, and bolting each replacement mold to its platen. Like many injection molders, this manufacturer wanted to improve the methods used to secure their heavy molds to platens. They began with a plan to replace a small set of their critical bolts with SmartBolts to test the product. Operators started to “feel like bolting experts” and within a few months, the manufacturer had retrofitted every injection molding machine in their facility with SmartBolts. They had found a complete solution that safely and reliably secured heavy molds to platens during daily changeovers. About six months later, we visited the Manufacturing Manager and his team to discuss the impact of SmartBolts on their operations. Since implementation, the facility has encountered zero mold falls and zero mold slips, and on three separate occasions identified SmartBolts that seemed tight but had bottomed out in the bolted joint. Bottoming out happens when a bolt is too long for the hole in which it is inserted and reaches the end – or bottoms out – before the head of the bolt can clamp onto a surface. The bolt seems tight, and if checked with a torque wrench there would be no warning of a problem, even though the bolt has no tension and is not clamping anything together. It is a dangerously deceptive occurrence which can be easily overlooked unless tension indicating bolts are used. « New World’s Largest SmartBolt!